The wonderfull blue sky unique vistas of lofty brown desert mountains, monasteries perched on hilltops and bright windows adorning white washed’ houses, the colorful people, the unique weather, Leh is nothing short of a topographical wonderful and miserable. Seeing the surreal landscape around you, you will certainly be gasping from something other than the altitude. Surrender to the warm Tibetan hospitality and savour your surroundings. This Ladakh bike tour is designed for those who like a blend of challenging portions to pedal, as well as easy fun rides with enough downhill sections to whizz through. From the perspective of physical challenge, you will be up against an average altitude of 12000 feet, windy passes, sharp meandering turns and virtually no roads at times, though at any given time, the backup van will be close at hand for those who want to be more indulgent. Board the flight for Leh fly pass snow topped mountains although depending upon the weather condition. Leh is the capital and the commercial hub for Ladakh region is also a strong Buddhist learning centre. The day will be free for getting acclimatized of high altitude low pressure and atmospheric differentiations. Just get known with the local culture the people and surroundings. Overnight at hotel. This is most crucial to get acclimatized so that you are ready to roll on. Therefore we strongly suggest you to explore on foot and stroll to the Leh palace, which overlooks the town from its perch on a small hill. The 17th century palace is a perfect place to get a breathtaking bird’s eye view of the region. The Japanese Shanti Stupa, is another sightseeing spot worthy of your time. Take the steps rather than the road to get that blood pumping; that panoramic views from here will be even more rewarding after that little trek. Overnight at hotel. Take sightseeing tour of Stakna and the famous Thikse monastery on this day. 25 km from Leh, the Stakna Gompa (Buddhist monument/monastery) is a treasure trove of cultural heritage. Also known as the ‘Tiger Nose monastery’, Stakna stores invaluable artifacts and paintings from late 16th century. Another 8 kms ahead, the Thikse monastery is yet another place of interest. You will find the ‘yellow hatted’ Gelugpas (Tibetan sect) here walking through the tiered rows of white structures, spread across 12 storeys. The monastery also has a nunnery, which is not a very common sight across Leh. People who are in need of more adrenaline rush and wants to take one more day before hitting the road on a bike can choose to do white water rafting from Chilling to Nimoo today. The ride to Tangtse of 115 km ride from Leh sometimes-snowy at the beginning of Chan La pass in a van.After a tea break, we zigzag downhill to Tangste, the last large settlement before Pangong Tso Lake. Tangste is a good representative of the arid topography of Ladakh, where high altitude often brings some test on breathing. The roads are fairly good and traffic-less on this stretch. The infamous bollywood blocbuster immortal scene was being shot at Pangong Lake. The night will be spent in a small guesthouse becomes our pit-stop for the night. Van: ~ 75km or 2 hrs. Today leave for Pangong in the early morning to reach one of the most distinguished destinations of Ladakh- the Pangong Tso (translated to enchanted lake). The steep climb to Pangong is narrow and often rubbly for long patches a wholesome one for cycling nevertheless. Along with the steep climbs, you will also encounter downhill dips and flat roads – this one will be perfect for your cycling sensibilities! The distance of little more then 200 kms will be done in van. Enjoy and experience the beautiful tented restaurant view of sparse but beautiful vegetation, rivers and local life on the way. For those who want to ride on the way are welcome to do so. Overnight at Leh. Van: ~ 200km or 4.5hrs. This day you will be transferred to the highest motorable road in the world at Khardung La pass (17582 ft) to grab a quick cup of tea and click some customary pictures at the top of the world. From this point onward the ride is downhill till Nubra Valley (1000 ft), where we make the small Sumur village our base camp. The topography changes drastically from washed out browns to the lush green meadows dotted with black yaks. Soon you hit the cusp of the Shyok and Siachen Rivers that flow through a vast sandy valley. Scant vegetation, a snaking black river seemingly diving the Tibetan plateau give Nubra a dramatic topographical edge over the other destinations in Ladakh. Sumur, one of the largest villages of the Nubra Valley, is a picturesque settlement where you can see small stands of apple orchards and locals busying themselves over farmlands. We spend the night at a semi-luxury tented campsite. Van: ~ 36km or 1 hr. Today the ride will be relatively smooth plain vast land where you will visit the 150 years old Samstanling monastery in Sumur. Another intriguing sight that cannot be missed is Hunder, the land of sand dunes. It is intriguing to see double humped Bactrian camels here. Another night at the beautiful camp and catching up around the evening bonfire and we are set to ride back to Leh the next morning. On the way back, the Diskit monastery makes for a good stop. It is the oldest and largest Gompa of the Nubra Valley and has many legends attached to it since it was built in the 14th century. Get set ready to go back Leh in van till Khardung La. We arrive at the mish-mash of snow, military sheds, plenty of motorbike teams and make a tea break. Spend time here to take in the last of the snowy peaks, shivering prayer flags and a top view of the Shyok river valley. 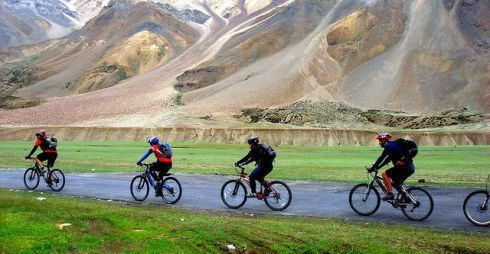 Hop onto the cycles for the last exhilarating stretch downhill till Leh. 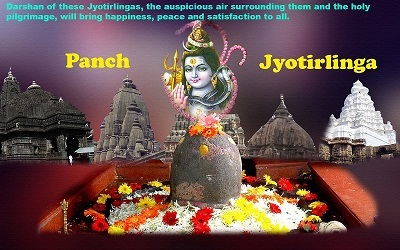 Later in the morning you will be transferred to the Leh Airport. WEATHER: Bike trips to Ladakh are possible only between May to September when snow has melted and temperature is nice and comfortable ((max 25°C. min 10°C). However, mornings and evenings still could be cold as it is an extremely high altitude region. Please be prepared for chilly evenings and a possibility of rain or snow. TERRAIN: The high altitude region of Ladakh is all about mountains and valleys and there are zigzag trails including some hairpin turns. To cycle on these zig-zag roads, you need to be a technically sound biker. You must preferably have prior experience of riding on rugged terrain and rough paved roads. Most sections of the road are asphalt surface. However, road conditions are unpredictable in this Himalayan region and could be under repair and not having an asphalt surface. Re-routing or itinerary changes can be made by the guide depending on the circumstances on ground. ACCLIMATIZATION: Travellers to Ladakh may suffer breathlessness, headaches, nausea and lack of appetite before becoming acclimatized. It is important to take things slowly at first and drink plenty of liquids. These symptoms generally disappear after a couple of days. Initial days of cycling is not excessive to allow time for adequate altitude acclimatization and we gradually cycle longer distances.